GoodReads Summary: A lonely, invisible bird mistakenly believes that adorning himself with flashy feathers and flowers will make him beautiful and win him new friends. Except his plan quickly backfires when his magnificent plumage attracts the attention of everyone, even the fox! In his rush to safety the little bird loses every last bit of his new decorations, making him invisible once again. Except now in place of his loneliness is the knowledge that putting others first is the key to friendship and high self-esteem. What I Think: All school year, I have been focusing on looking closely at my own personality and strengths and weaknesses and how I interact with others who bring similar or different personality preferences. Just yesterday, our department received the book Stand Out by Marcus Buckingham. It focuses on recognizing and capitalizing on one's strengths. As a department, we took the quiz to find out what are our two strengths and then what those combined mean about who we are and our role. It was so interesting and so far has seemed very accurate. 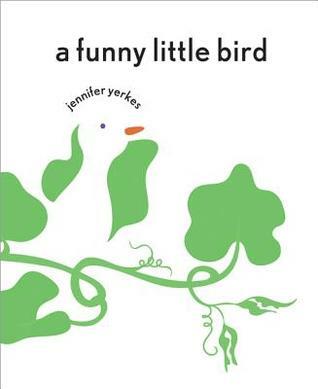 I'm eager to read the book and find out more about it's message but it's timely as I discuss this book about a little lonely bird who is trying to find his place in the world. The more I think about stories, the more I realize that the problems people involve people more often than not. In thinking about young adult literature especially, communication and fitting in and developing one's identity is so prevalent because that's exactly what adolescents are experiencing and grappling with. This sweet little story made me stop and think about what the little bird is experiencing and what choices he makes at different times in the book and how he feels by the end. The message of allowing yourself to be who you are and surrounding yourself with people who will support that is an important one for students of any age to think about and recognize. This book would make a great read aloud at the beginning of the year while building respect and rapport with students or throughout the year as a reminder of how we acknowledge each other's differences and try to celebrate those. This book would match really well with any book about recognizing differences and/or bullying. and an idea in his head." Writing Prompts: Write about what you can infer about the funny little bird and how he was feeling and why he made the decision to be himself at the end. Include evidence from the text that supports your inferences.